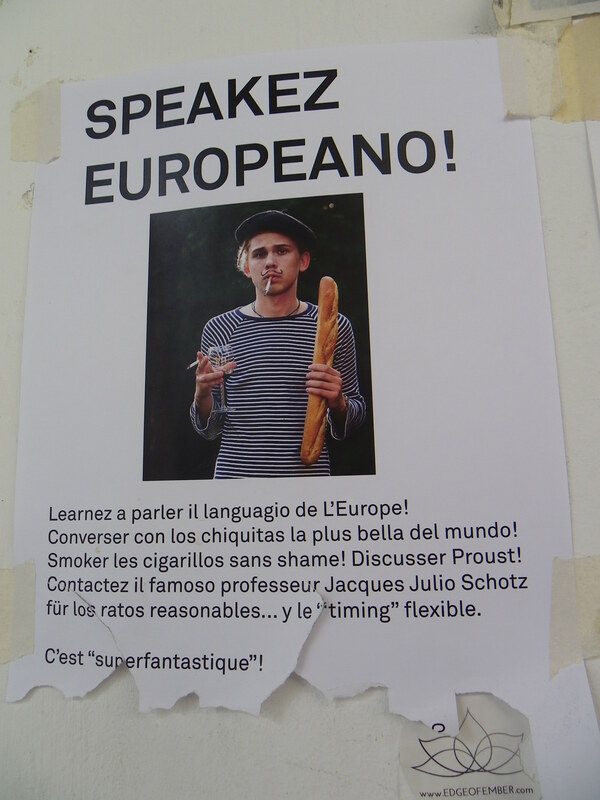 Speakez Europeano! This hilarious ad was posted outside of a bookstore in Singapore. I think my favorite part is the baguette.